News & Events - Bubble Technology Industries Inc. The Radi-N2 experiment aims to characterize neutron radiation in various locations of the International Space Station (ISS). As part of this experiment, bubble detectors produced by Bubble Technology Industries were deployed in the JPM1D5 area of the ISS. The dose information gathered from these detectors will be used to assess the neutron radiation exposure of astronauts onboard the ISS. For more information, please see NASA’s ISS On-Orbit Status Blog for September 6th, 2018. From September 23-27 2018, Bubble Technology Industries will be showcasing its latest products at the CVSA Annual Conference and Exhibition in Kansas City, Missouri. Come find us at booth no. 11 to learn about how our state-of-the-art radiation detection products can be used in commercial vehicle safety applications. For further inquiries on our products, feel free to contact us at sales@bubbletech.ca. Follow this link for more information on the conference. BTI will be presenting recent results from the Matroshka-R and Radi-N2 experiments, which measure neutron radiation on the International Space Station (ISS) using BTI’s Bubble Detectors, at the 23rd annual Workshop on Radiation Monitoring for the International Space Station (WRMISS) held at the University of Fukui in Tsuruga, Japan, September 4th to 6th, 2018. If you would like to meet with a BTI representative at WRMISS, please contact us at info@bubbletech.ca. Join Bubble Technology Industries at the 25th Conference on Application of Accelerators in Research and Industry (CAARI) in Grapevine, Texas, USA from August 12th to 17th, 2018. The CAARI series brings together scientists, engineers, professors, physicians, and students from all over the world who use particle accelerators in their research and industrial applications. At the conference, BTI will be presenting a poster entitled “The Use of Fast Imaging Detectors for Security Applications”. If you would like to meet with a BTI representative at CAARI, please contact us at info@bubbletech.ca. Further information on the conference can be found here. 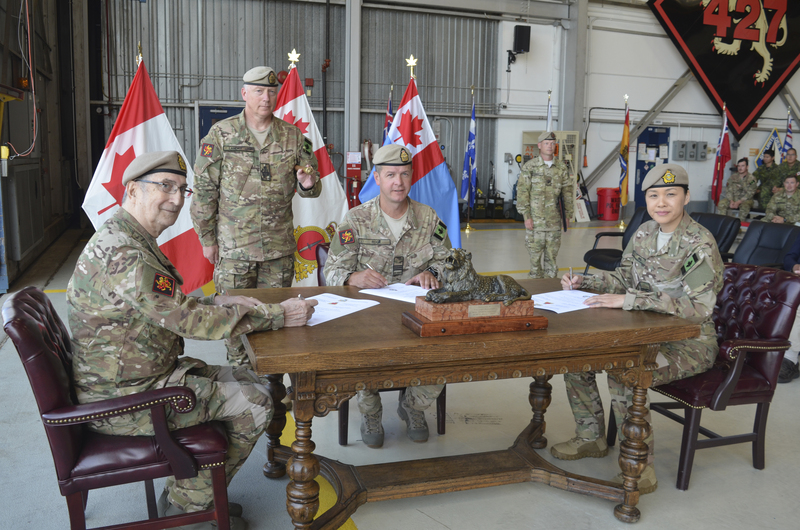 Lianne Ing, Vice President of BTI, assumed the role of Honorary Colonel for the 427 Special Operations Aviation Squadron on July 12th, 2018. Based at Garrison Petawawa, the 427 Squadron provides aviation capabilities to the Canadian Special Operations Forces Command, as well as support to other Canadian Armed Forces operations. Through her voluntary role as Honorary Colonel, Ms. Ing will serve as a bridge between the squadron and the public for her three-year term. She will provide counselling and mentorship, as well as advising the squadron’s senior leadership, when requested. Having served more than 15 years with Bubble Technology Industries, Honorary Colonel Lianne D. Ing also serves on the Board of Directors for the Canadian Chamber of Commerce and is an active member of the Chamber’s Small & Medium Enterprise Committee. She is also currently serving on the Public Services and Procurement Canada Supplier Advisory Subcommittee on Supplier Relationship and Performance Management. 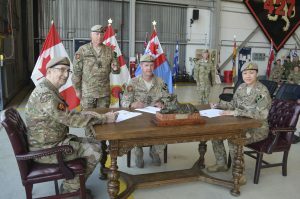 In the image below from left to right are: outgoing Honorary Colonel Del Lippert, Squadron Chief Warrant Officer Dan Landry, outgoing Commanding Officer Lieutenant Colonel Clay Rook, and Lianne Ing as she was sworn in as the new Honorary Colonel for the 427 Squadron at Garrison Petawawa. 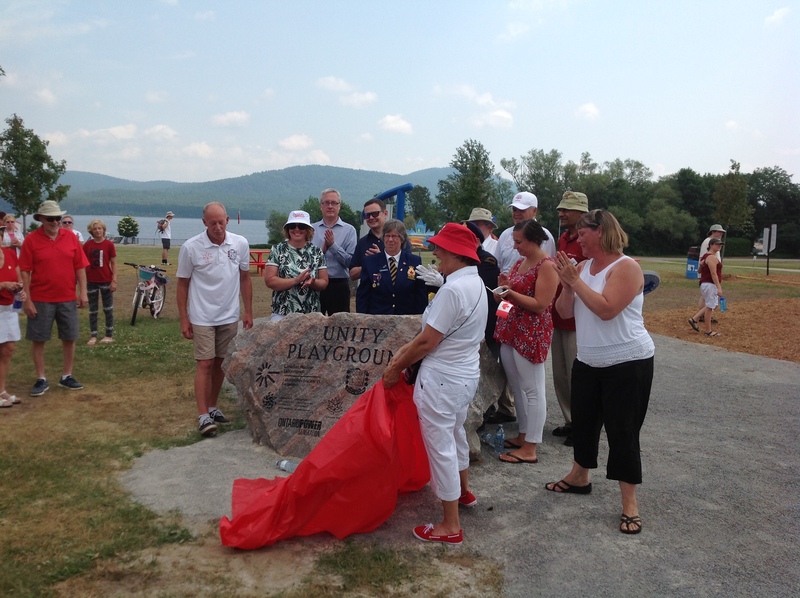 Dr. Martin Smith, Deputy Manager of R&D at BTI (shown third from left), was pleased to attend the grand opening of the Town of Deep River’s Unity Park on July 1, 2018. 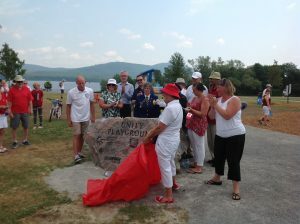 The children’s park was commenced in 2017 as a legacy project associated with Canada’s 150th anniversary. BTI contributed to the creation of the park, which will promote active play and outdoor education for local children. Get the latest product updates from BTI at the 2018 National Homeland Security Conference, being held at the Sheraton Hotel in New York Times Square on July 10 to 12, 2018. Come and visit us at booth no. 102 to participate in hands-on demonstrations of our cutting-edge radiation detection products for homeland security applications. For further information, contact sales@bubbletech.ca. BTI will be participating in the 2017 Radiation Detection Industry Day to be held at the Naval Sea Warfare Carderock Division in West Bethesda, Maryland on June 13th, 2017. BTI will be exhibiting its state-of-the-art portable radiation detection products for military, homeland security, and law enforcement applications, including the FlexSpec Backpack and RadCompass products. For additional information, please email sales@bubbletech.ca. Join BTI at the 2016 National Homeland Security Conference in Tampa Bay, Florida June 28-30. BTI will be exhibiting its state-of-the-art radiation detection products for homeland security applications, including the new FlexSpec Backpack, the FlexSpec Mobile, RadBump, and RadCompass products. 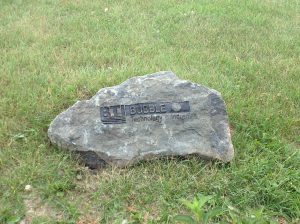 If you would like to set up a meeting with a BTI staff member or have any questions regarding our products, please email info@bubbletech.ca. Information on the conference can be found here. 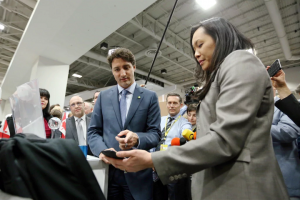 Bubble Technology Industries had the opportunity to demonstrate some of its latest radiation detection equipment to Prime Minister Justin Trudeau during the Nuclear Security Summit held in Washington, D.C. on March 31st and April 1st, 2016. 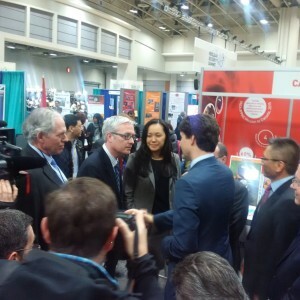 Trudeau met with Lianne Ing, Vice President, and Dr. Martin Smith, Senior Scientist, amongst a throng of media at the Government of Canada exhibit at the summit. Ms. Ing and Dr. Smith demonstrated BTI’s new FlexSpec Backpack product, a state-of-the-art, portable radiation detection system that detects and identifies radioactive materials and instantly categorizes them as threats or other types of radioactive materials. Immediately after meeting with BTI, Trudeau turned to a crowd of reporters and announced that Canada will be investing an additional $42 million over two years to improve global nuclear security.